OK, so we’re getting rolling on our 13 Days of Halloween business (click here for more) and today’s Ben Cooper costume — courtesy of cartoonist Chris Ecker — is the most disgusting thing that the company ever produced. 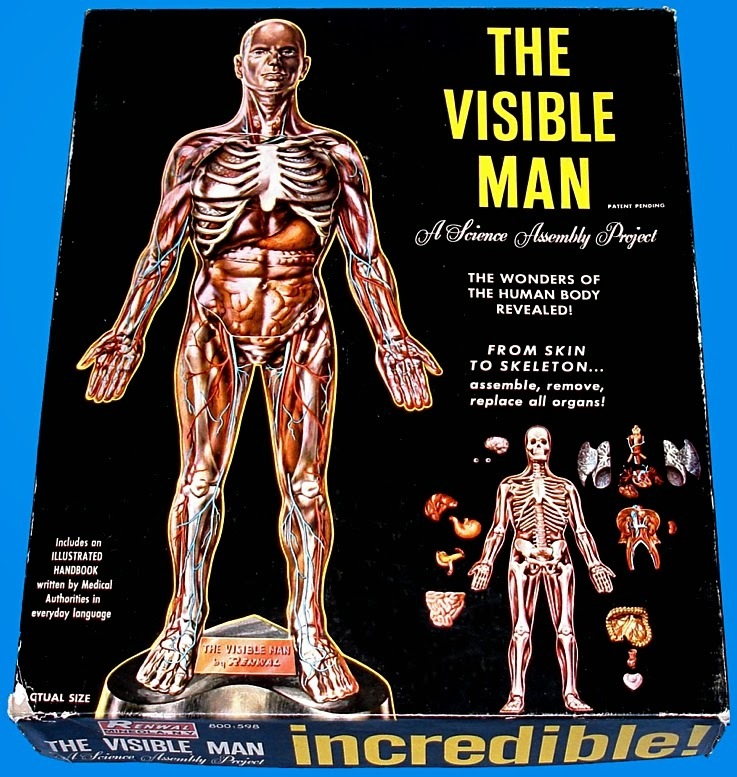 Now, for the uninitiated, the Visible Man was this model that was really popular back in the ’60s and early ’70s. (Hell, for all I know, it still is.) 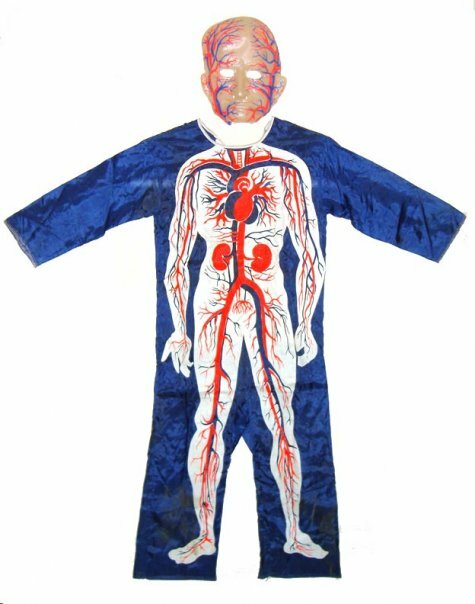 It was a transparent figure that showed off the human anatomy. Y’know, for kids. But to make it a Ben Cooper costume? That’s some warped genius there. Aaaaaaaaaaaaah. King Tut, put your face back on! I would have bought that. For more 13 DAYS OF HALLOWEEN: A BEN COOPER A DAY, click here.